Bucket List – Achievement Unlocked! A look at one of my bucket list items and what has transpired that will allow me to cross it off the list. A look at my speaker achievement that was unlocked at PASS Summit 2014. A look at the difference between compatibility mode and the database version. A look at some of the upcoming speaking engagements that I have scheduled for the fall. A blog post asking for donations to support Doctors Without Borders! A reminder to make sure to cast your vote before traveling to attend the 2014 PASS Summit in Seattle, Washington later this year. A look at the PASS Summit 2014 Pre-Con that John Morehouse and Chris Shaw will be presenting. A brief look at what I’ll be presenting on at SQL Saturday #307 in Iowa City, IA. 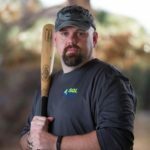 John is the DBA with a bat, a Microsoft SQL Server DBA, Blogger, Forum Answerer, Friend of Red Gate, Idera ACE, Chapter Leader, Speaker, Sentry PAC member, Microsoft Data Platform MVP and a bat whisperer.